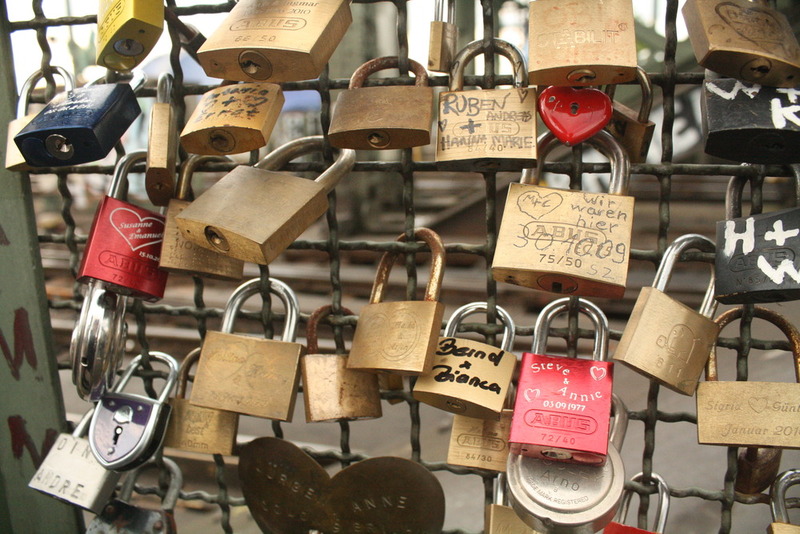 In Cologne, Germany there’s a tradition that as couples cross the Hohenzollern Bruecke Bridge, they take a lock and attach it to the bridge’s fence and throw the key into Rhine for love and good luck. The whole bridge fence is covered in locks! What a perfect place to visit on a honeymoon, or to propose!